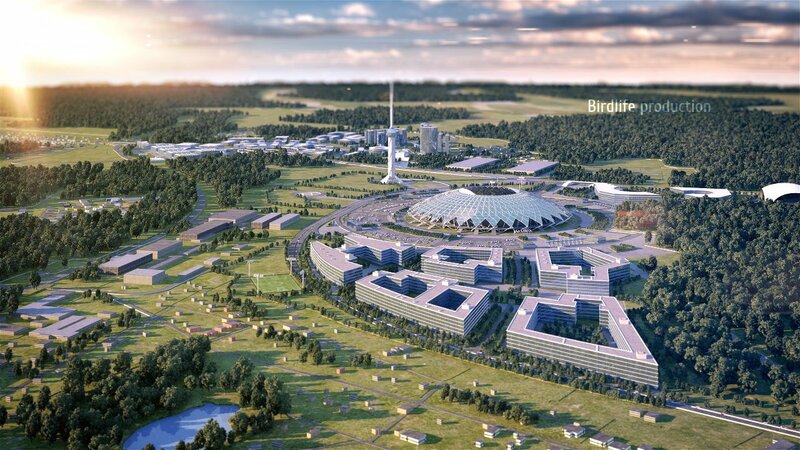 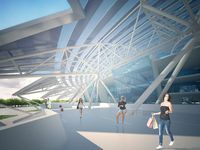 The GMP Architekten concept sees double-tiered stands covered with large, 60-meter high dome (initially planned to reach 80m). 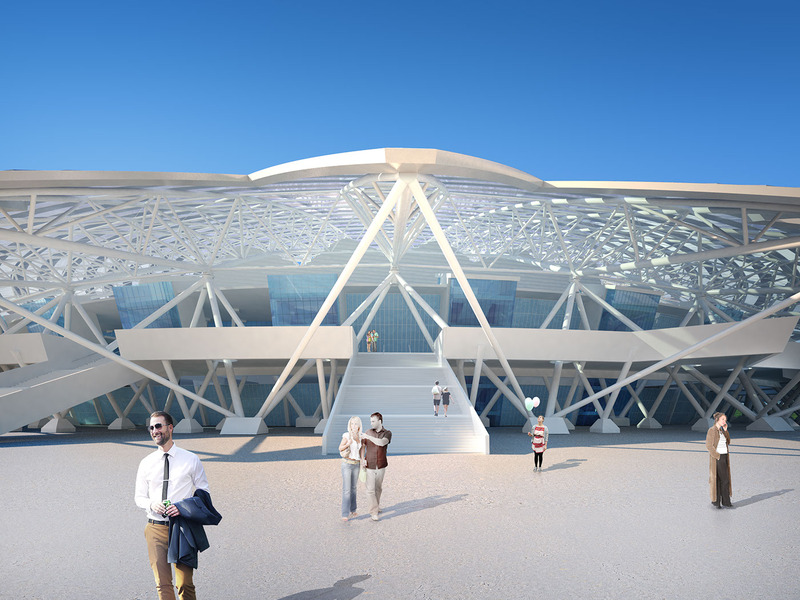 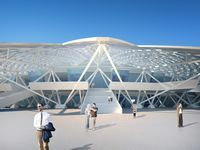 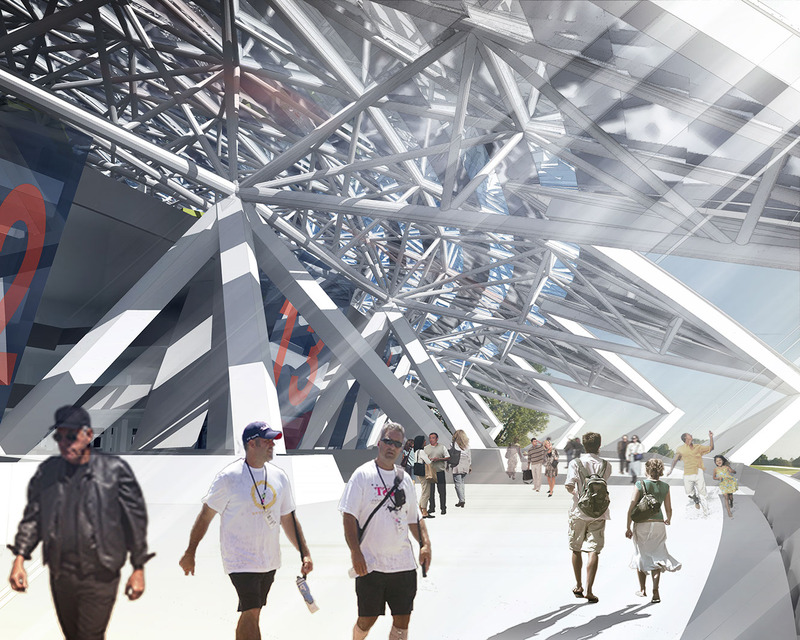 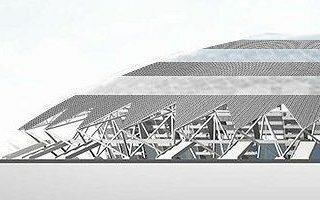 Covered with translucent panels the stadium should resemble a gemstone. 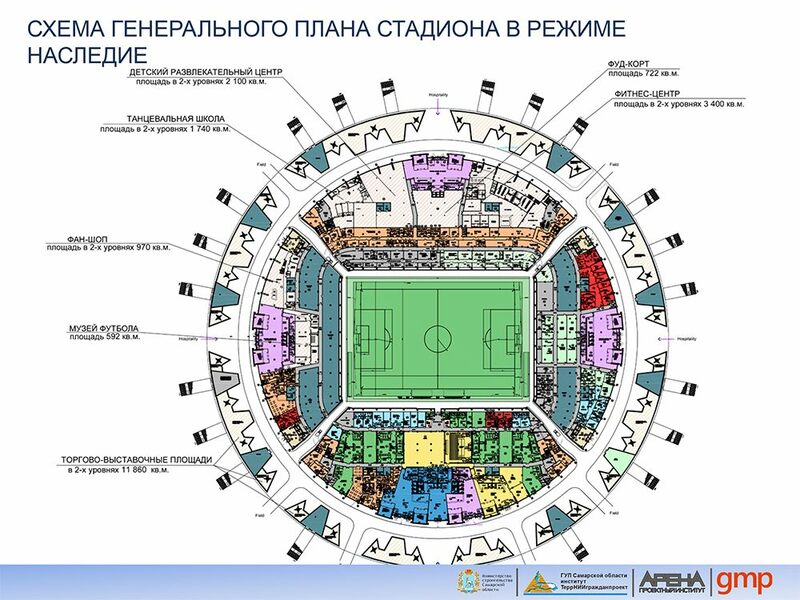 Audience should see skyboxes on both sides of the pitch, on two floors. 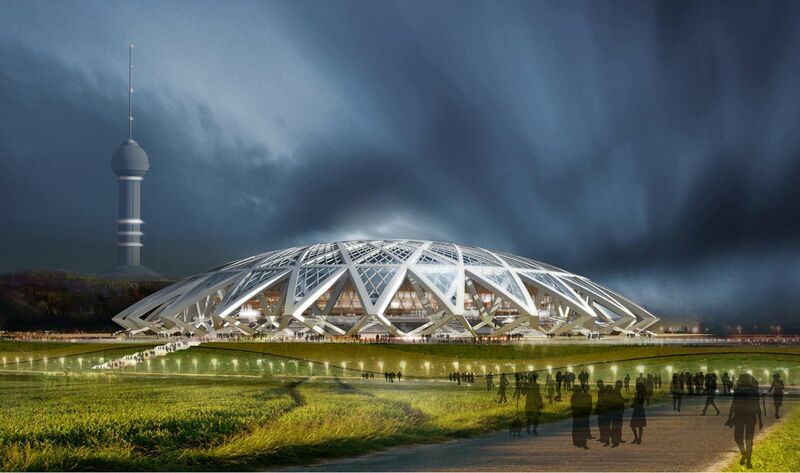 Altogether this gives 1,200 luxurious seats, almost double the FIFA expectations. 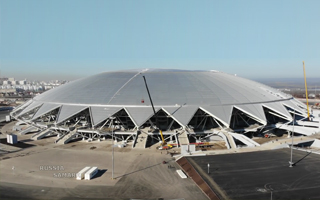 The spaceship stadium was the single last one to 'land' and open its doors to Russian spectators ahead of the 2018 World Cup. 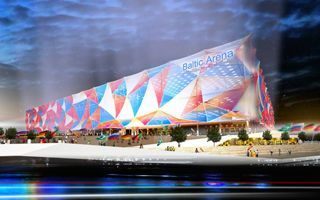 It's not really finished yet, but operational and ready for the international tournament. 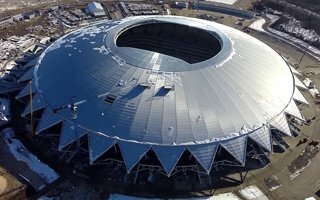 27.04.2018 Russia 2018: Green light, all stadiums ready! 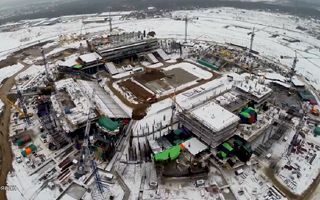 Make no mistake, construction isn't over. 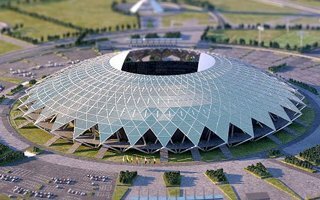 Still, Samara Arena was officially approved for use today, just 24 hours before its first test game ahead of the 2018 World Cup. 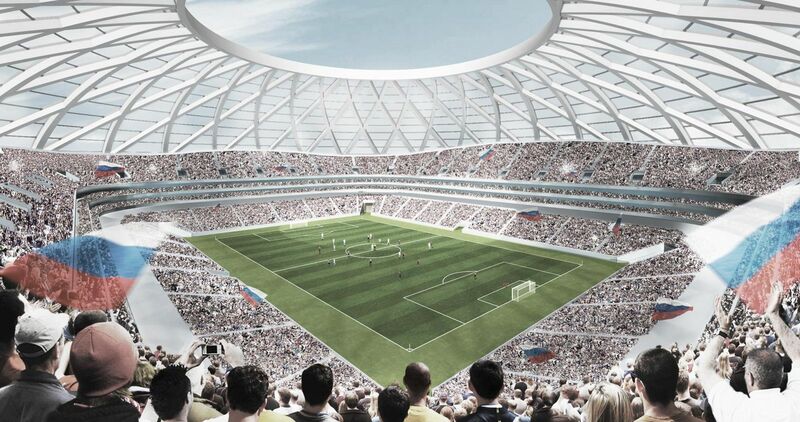 It's the only stadium not to be handed over for the 2018 World Cup yet. 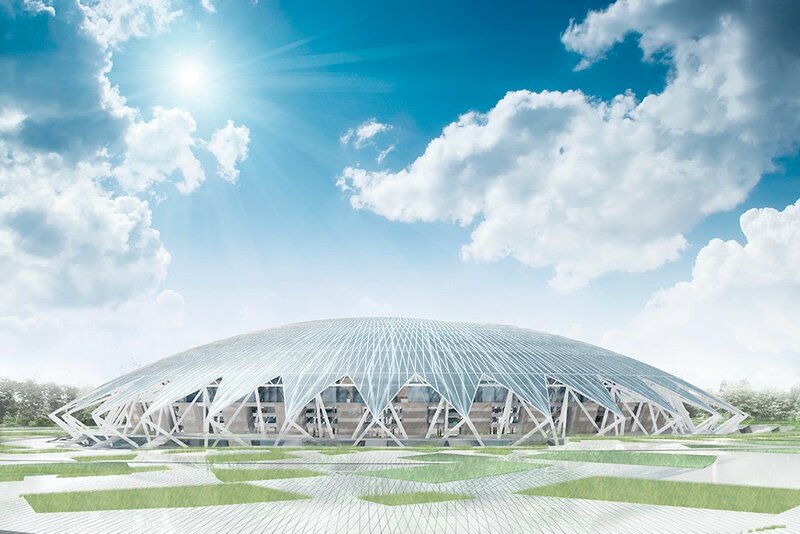 It's thus no surprise that Samara Arena is also the last one to get its field. 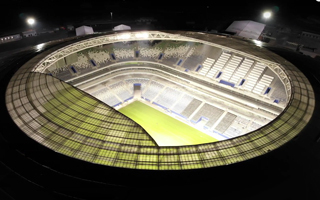 In fact, installation won't be complete until just before the first game. 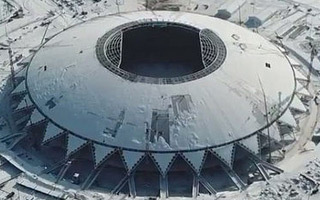 They failed in December, failed in March. 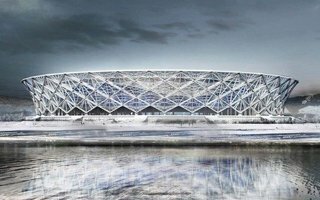 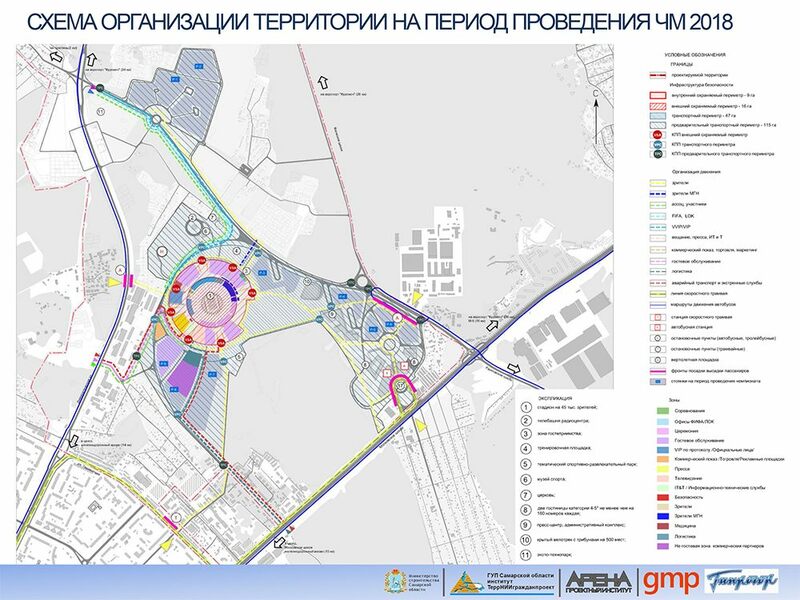 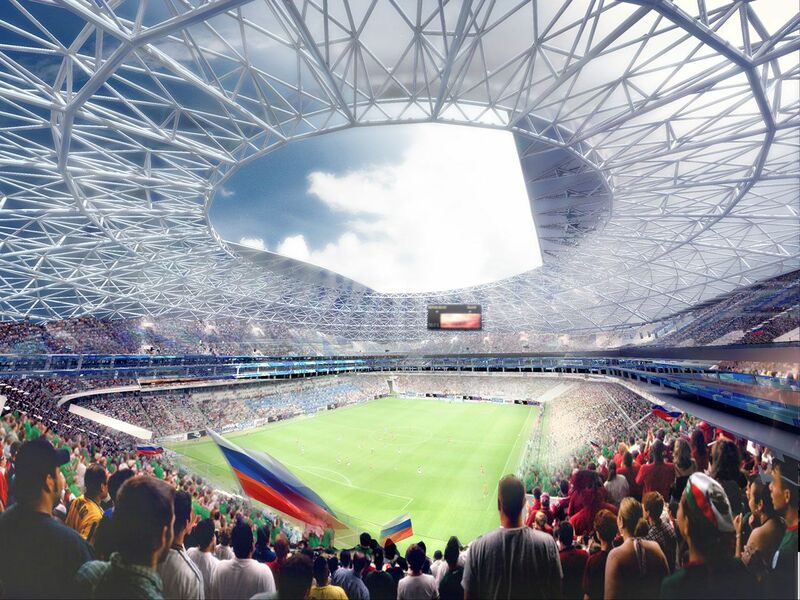 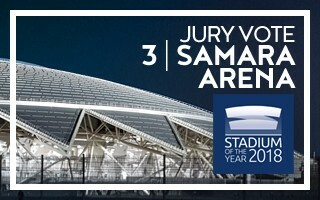 The latest deadline for Samara Arena is April 25, just 3 days (!) 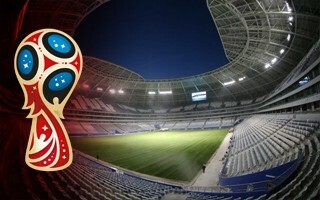 before the first game. 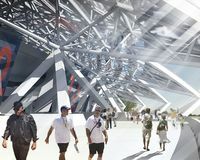 This cannot end well and it won't. 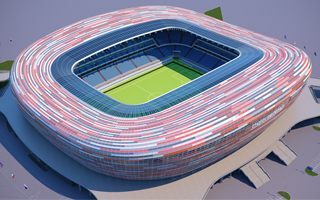 According to fine reporting by Kommersant, more issues with the stadium will surface. 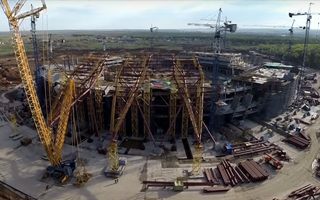 Though the stadium should have been ready by the end of 2017, work is still underway. 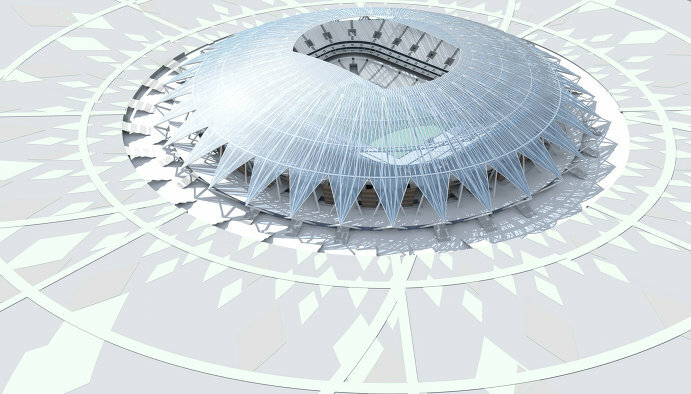 Most tasks are nearing the finish line, though quite a lot is yet to be done at the most decorative feature: its dome. 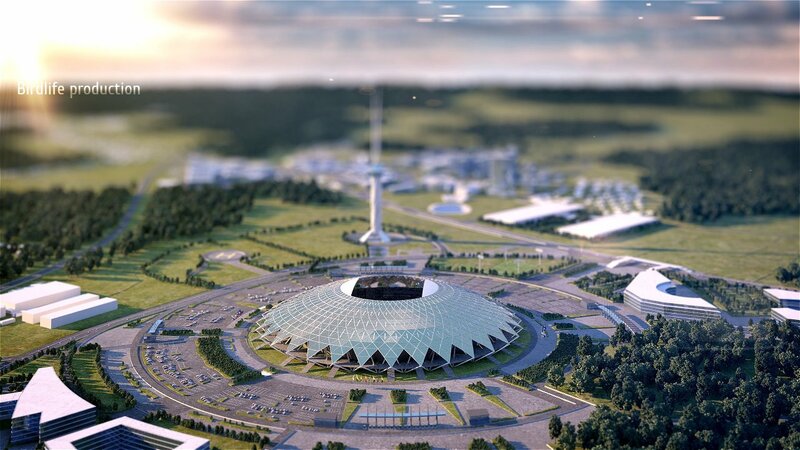 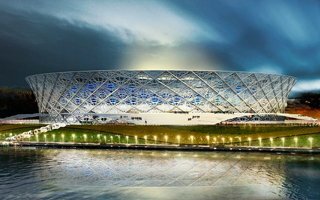 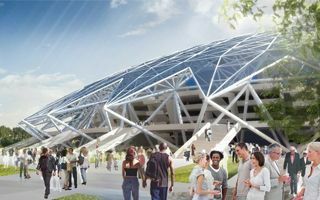 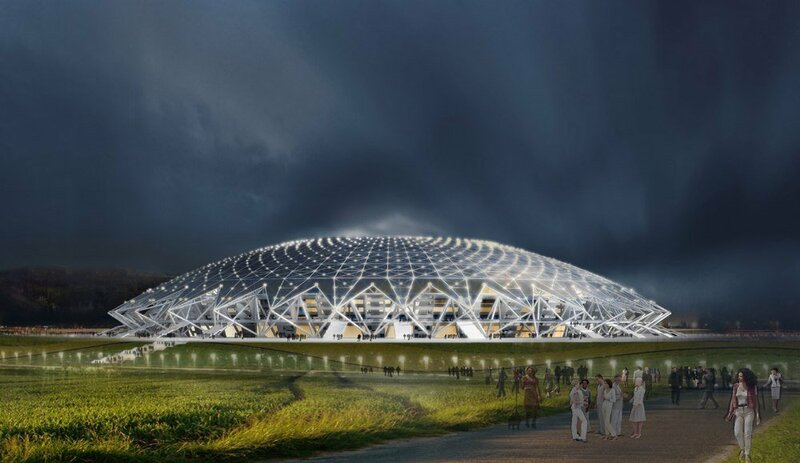 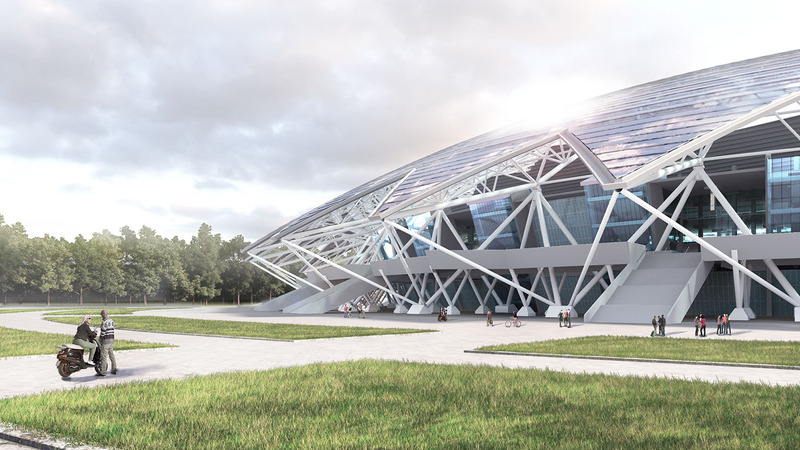 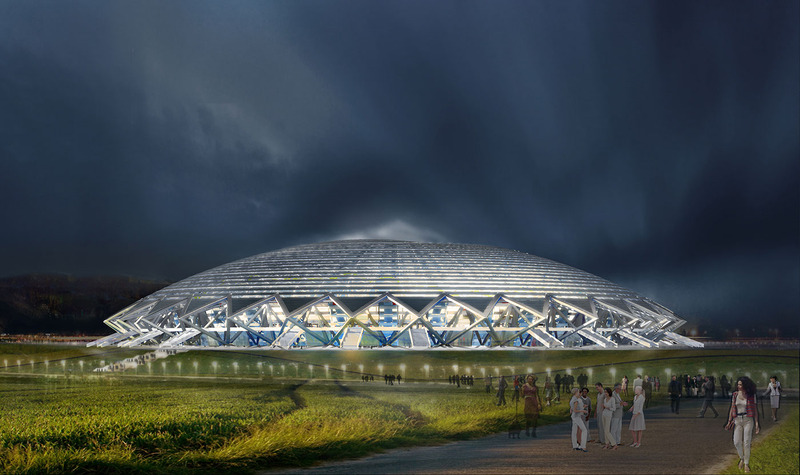 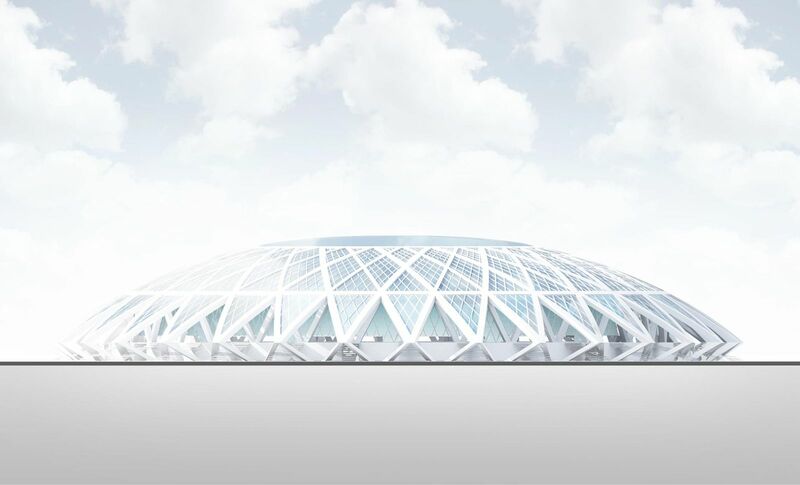 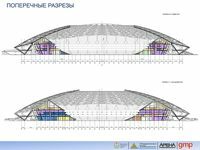 As cost-cutting efforts continue, the iconic dome of Samara Arena will be covered by polycarbonate in less than 50%, while the remainder will be simple profiled tinware. 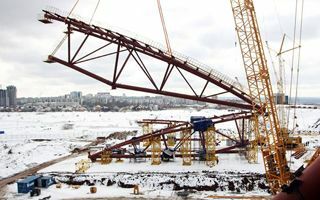 First of 32 immense girders already tops the stadium nicknamed Cosmos Arena. 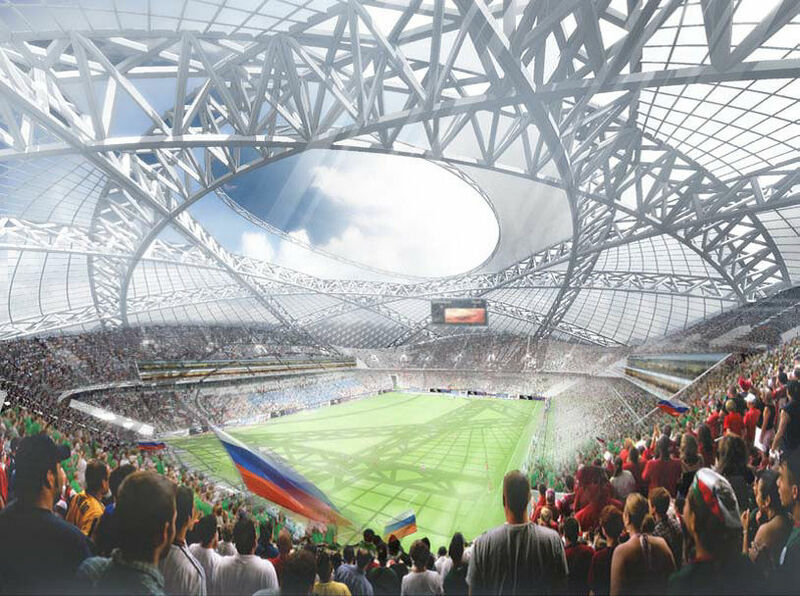 The Samara venue for 2018 World Cup will prove much more expensive than planned. 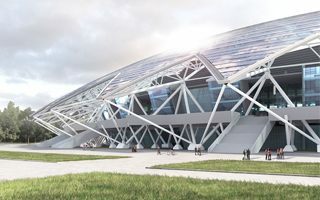 And it’s 3 months delayed as of now. 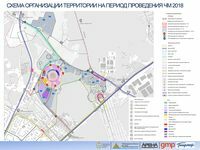 Russian prime minister ordered to replace imported components with domestic products where possible. 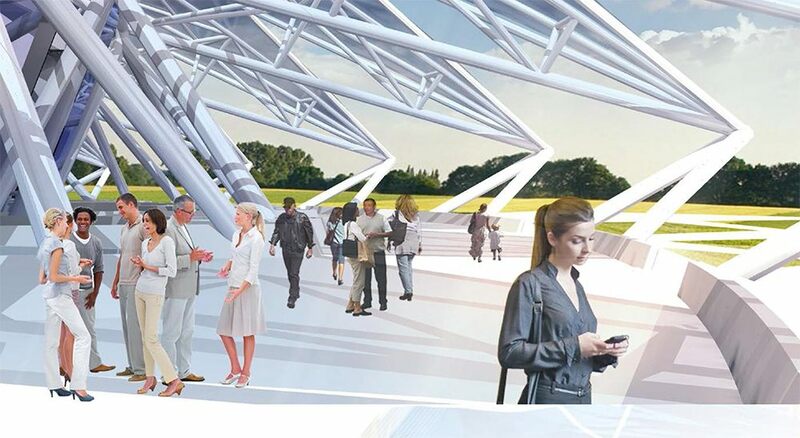 This should help with keeping budgets from overruns. 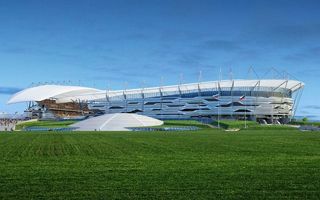 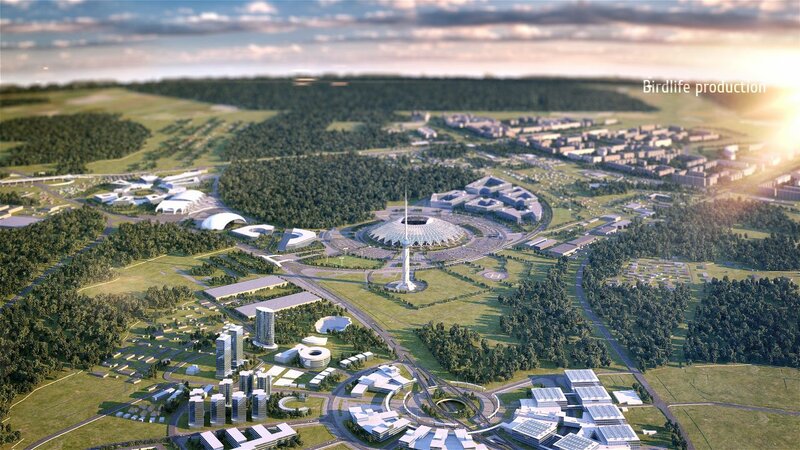 Last week saw the official groundbreaking ceremony in Samara, one of Russia’s World Cup cities. 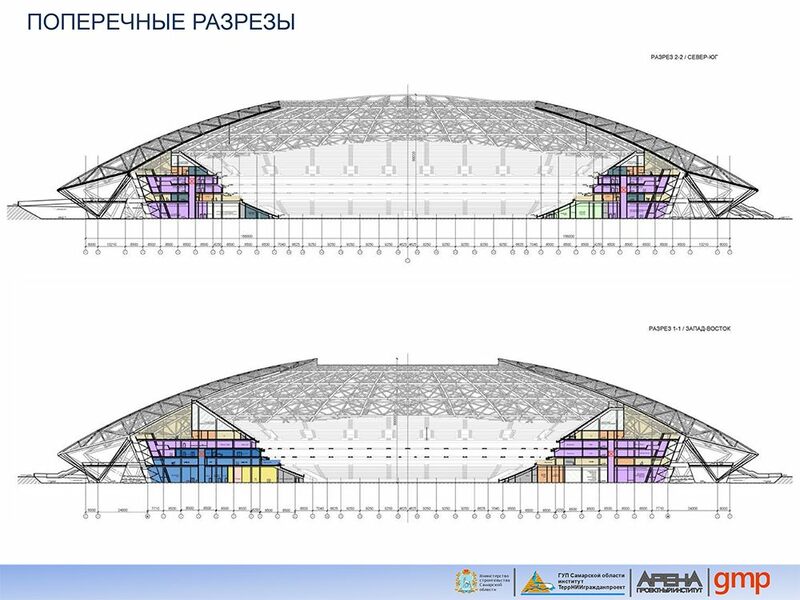 In 2017 the new arena will be ready and is expected to cost RUB 14.5 billion, over €300 million. 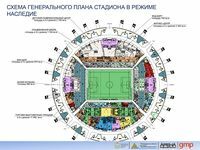 23.06.2014 Russia 2018: Design preparations twice overpaid? 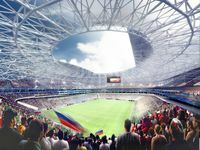 The country’s central audit body found seven projects prepared for the 2018 World Cup to be severely overpaid. 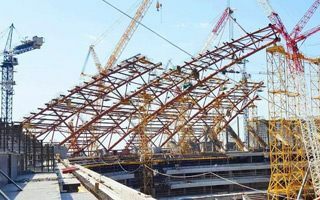 Work that should have cost $80 million was priced at over $170 million, according to insideworldfootball.com.